For months, rumors have been circulating about how Anna Wintour has had her sights set on Lena Dunham to cover an upcoming issue of Vogue. Any interactions between the women were speculated to be Wintour’s attempts to court and appeal to the young writer and actress in hopes of cashing in on her rising star. In the last few weeks, the confirmation of Dunham’s Vogue feature has created a huge buzz in fashion and entertainment circles, and even sparked massive controversy in the blogosphere and pseudo-feminist communities online. Full disclosure: I’m a fan of Lena Dunham. I think her HBO series Girls is a welcome departure from a lot of similar depictions of young women in media. I think she’s funny, a smart writer, and a quirky role model for body positivity and individualism. She identifies openly and proudly as a feminist, rather than shying away from such a “controversial” term like other women in the limelight tend to do. She certainly isn’t perfect, and her privilege and politics even come off as a little problematic to some people, but if I had to commend one woman for being true to herself in the entertainment industry, it would probably be Dunham. Lena Dunham covering Vogue, a fashion publication notorious for its lack of diversity and inclusiveness, represents a landmark moment in the world of fashion and beauty. Dunham is both revered by fans and abhorred by critics for the way she presents herself in public. She has a body type that many American women can identify with, which is to say she doesn’t have a model’s figure. Her hair is short, her teeth aren’t bleached white, she has tattoos; she has curves. Her fans love that she appears not to care about beauty standards; her critics says she’s trying too hard, that she’s playing into her off-beat, disheveled looks in order to cash in. On the set of Dunham’s Vogue photoshoot. 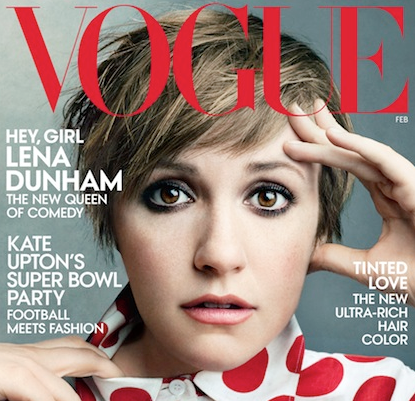 Ever since Vogue released its February issue, which Dunham covers, the response has been incredibly polarized. The glossy has finally featured a woman who isn’t a size 0, who isn’t as well-versed in fashion as the cover girls that came before her, and who frankly, doesn’t seem to care. For many, this is a groundbreaking issue of Vogue; it’s an issue that champions beauty and substance, one that lends visibility to “imperfection” and recognizes talent. Dunham wasn’t safe from critics, however. For every fan who lauded her photos, there was someone calling her a hypocrite. How could a woman who claims to love her body subject herself to the Vogue treatment? critics demanded to know. Dunham’s styling and wardrobe for the feature is glamorous and well, very Vogue; critics are in an uproar about photoshop being used, and about the way she was posed, and photographed. Most disturbing perhaps was the $10,000 bounty the website Jezebel posted for the first person to find the un-retouched photographs of Dunham. In a statement about the backlash surrounding her Vogue feature Dunham says, “I haven’t been keeping track of all the reactions, but I know some people have been very angry about the cover, and that confuses me a little. I don’t understand why, photoshop or no, having a woman who is different than the typical Vogue cover girl, could be a bad thing.” I’m definitely in agreement with the actress on that. 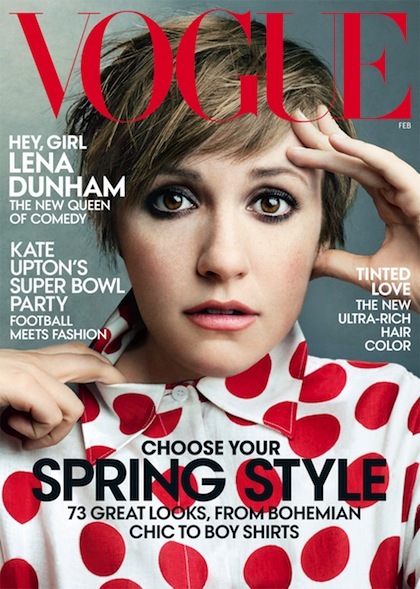 What do you think about Dunham’s Vogue cover and feature? 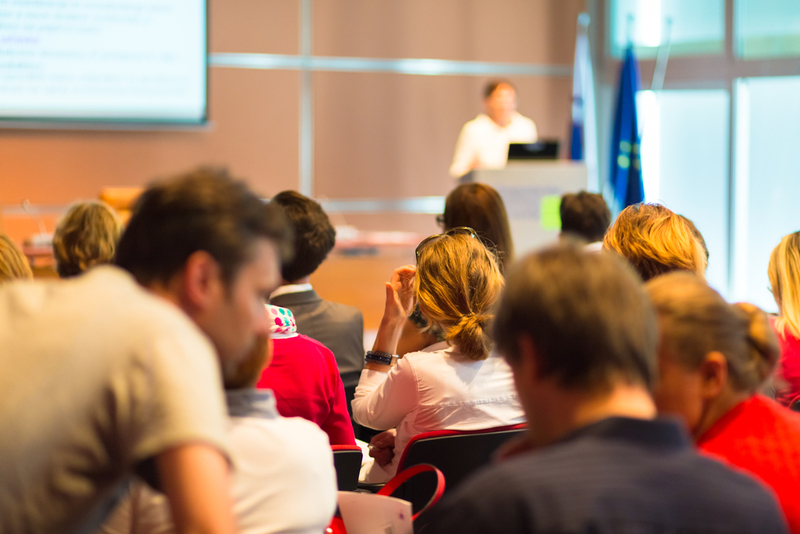 Do Trigger Warnings Limit Academic Freedom?